The queen of slow cooking gives us Beer-Braised Brown Sugar Brisket with Bacon; Cajun Shrimp Chowder; Artichoke Chicken Lasagna; and Thai Peanut Butter Pork Roast. 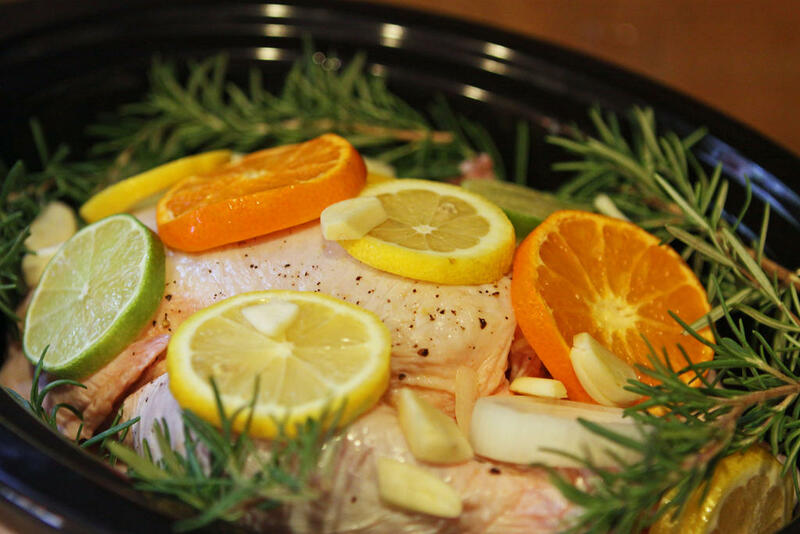 Throw the ingredients in a slow-cooker in the morning, and return hours later to a house full of comforting aromas. Honestly, it's like having staff! We're so impressed with blogger Stephanie O'Dea's line-up of recipes, which are also adapted for those who have gluten issues. And don't miss her Citrus Chicken because the butternut squash melts into the sauce, thickening and flavoring it beautifully. Vegetarians, there's a big section for you. Seriously, 365 Slow Cooker Suppers has something for everyone. You just have to love delicious, easy meals. We'll send this book, 365 Slow Cooker Suppers, to your door, as a thank you for supporting WNPR. Pledge online. Stephanie O'Dea is the author of 365 Slow Cooker Suppers. When blogger Jennifer Reese lost her job, she began a series of food-related experiments. Economizing by making her own peanut butter, pita bread, and yogurt, she found that “doing it yourself” doesn’t always cost less or taste better. In fact, she found that the joys of making some foods from scratch—marshmallows, hot dog buns, and hummus—can be augmented by buying certain ready-made foods—butter, ketchup, and hamburger buns. Tired? Buy your mayonnaise. Inspired? Make it. Yale University Preventive Medicine expert Dr. David Katz says he has a four-step approach to keep disease away. His technique involves a change in diet, exercise, no smoking, and weight-control. Master the skill-set to bring these areas in line, and we'll have longer and healthier lives. If you believe genes play the leading roll, or that environmental factors mean we're probably going to die younger than we thought, Dr. Katz says he has data to show you otherwise.